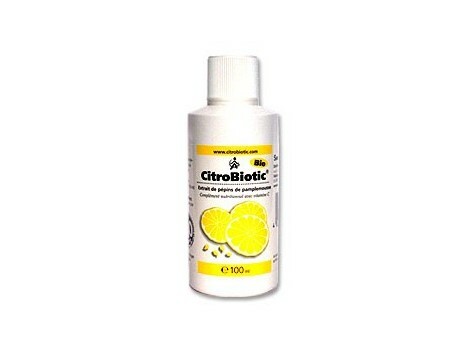 Citrobiotic Liquid 100 ml. Grapefruit seed extract with vit. C i bioflavonoids. Citrobiotic is a natural antibiotic for the bacteria / positive and negative gamma, curing diseases such as cystitis, fungal infections, candidiasis, mouth and throat infections, athlete's foot, bad breath, gastrointestinal ulcers, etc. 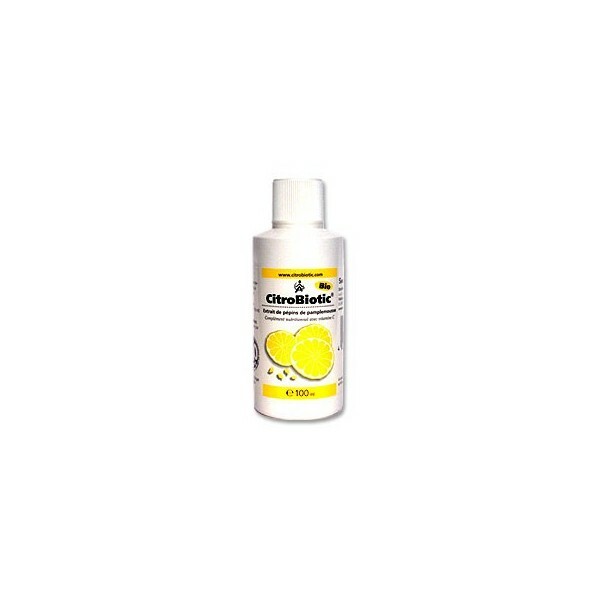 ..... Nutritional supplement consisting of grapefruit seed extract with vitamin C and bioflavonoids. The grapefruit seed extract (ESP) is a broad-spectrum antimicrobial compound nontoxic synthesized based on the seeds, pulp and white membranes of grapefruit. It has been demonstrated in vitro its ability to kill or inhibit the growth of a large number of gram negative and gram positive potentially harmful fungi, viruses, protozoa and parasites. The resulting liquid is very acidic and bitter, so be prepared to incorporate pure vegetable glycerin decreases acidity and bitter taste. The final product is a combination of natural elements including bioflavonoids, amino acids, fatty acids, oligosaccharides, polyphenolic compounds (quercitin, hesperidin, neohesperidine, of camperol glycoside, naringin, apigenina, routines, poncirina, etc..), Tocopherols, ascorbic acid and dihidroascórbico acid. The grapefruit seed extract in liquid form is more versatile and perhaps a little more effective in certain applications, but has a slightly bitter taste is usually diluted in fruit juice or tea before consumption. Bio Citrobiotic leads the identification and the grapefruit seed extract was obtained from ecological cultivation DE-039-Öko Kontrollstelle. HOW TO USE: Ten to fifteen drops in a glass of juice or water twice daily guidance. Take with meals or elsewhere. Always consider the precise details of the target in order to better guide the dosage to administer.